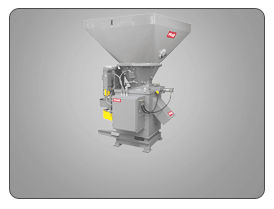 Reduce low volume turnings to flowable chips- at the source. Continuous low volume metal scrap reduction at the source. 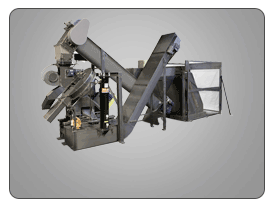 Metal crushers are the economical solution for processing stringy and bulky turnings into flowable chips. This piece can be integrated into existing equipment or free-standing. The horizontal axis crusher provides off discharge to CNC machines which increases safety for operators by avoiding cutting of hands. 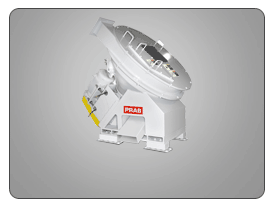 PRAB’s automated scrap removal systems are designed for volume reduction of metal turnings. 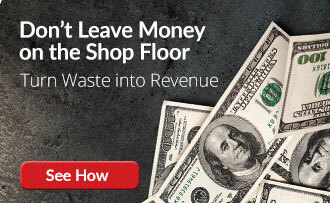 The comprehensive focus on chip processing provides metalworking companies with an automated, safe and cost-effective way to process all kinds of metal scrap. 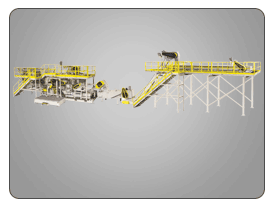 The first step in this operation is to create flowable chips from metal turnings with scrap handling equipment. *Capacity varies with different types of material. For accurate output figures please contact us. *Feed hoppers are optional based on output. *Available in multiple sizes to fit your application requirements.